Ever wonder what the real deal is with artificial sweeteners? Are they really better for you than sugar? And if so, which one should you choose? Health and nutrition experts do the work of comparing artificial sweeteners making how to choose the best sweeteners for you a cinch! There's been a lot of talk about the evils of sugar and many of us have attempted to remove it from our diets. This has proven difficult simply because it tastes so good and as our bodies have gotten used to the delicious flavor, we crave it. Carol Cottrill is a nutritional consultant and the author of The French Twist: Twelve Secrets of Decadent Dining and Natural Weight Management. She puts it succinctly, "White sugar is a human invention, not a gift of nature." This explains why consuming sugar has been linked to so many health problems — our bodies weren't designed to process refined sugar. In an effort to help, many sugar alternatives have surfaced. To sort through the sweeteners, several health and nutrition experts share the nitty gritty comparisons of common sweeteners to compare their pros and cons side by side. PROS^ Frances Diaz is a registered dietician at FITzee Foods, a health and wellness company that creates nutritionally balanced, delicious prepackaged meals from local and all-natural products. She says, "Agave is vegan friendly and can be used as a honey substitute. It's slightly sweeter and thinner than honey and contains small amounts of iron, calcium, potassium and magnesium. 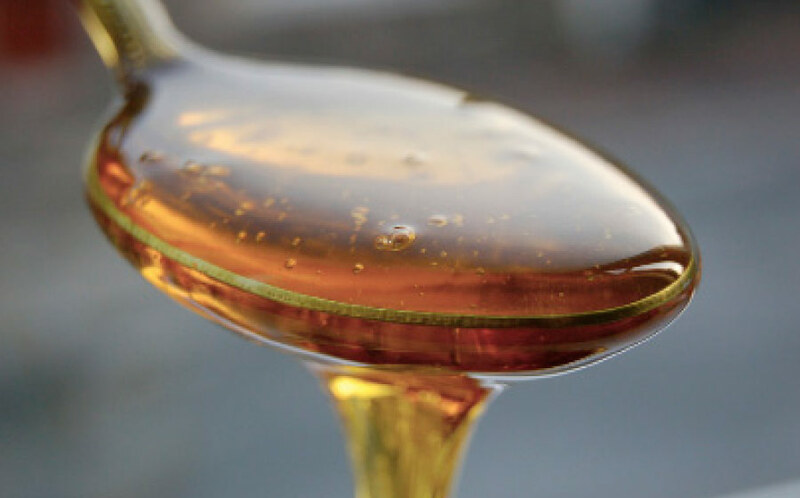 Although the fructose content is higher than that of high fructose corn syrup, the lower glucose content in agave nectar gives it a lower glycemic index than other sweeteners which makes it diabetic friendly." Brooke Griffin, a nationally recognized fitness and health enthusiast who has been featured in GQ, Oxygen Women's Fitness, Natural Muscle, Status Magazine and Redbook Magazine, adds that while agave does have more calories than table sugar, it's much sweeter so you can use less of it. Cons^ Frances says, "Agave nectar contains 20 calories per teaspoon, which is higher than regular sugar." Brooke also explains that, "many forms of agave have been more processed than high fructose corn syrup! Some of the most processed can contain up to 90 percent fructose and studies have shown that high consumption of fructose can lead to increased risk of heart disease and diabetes." 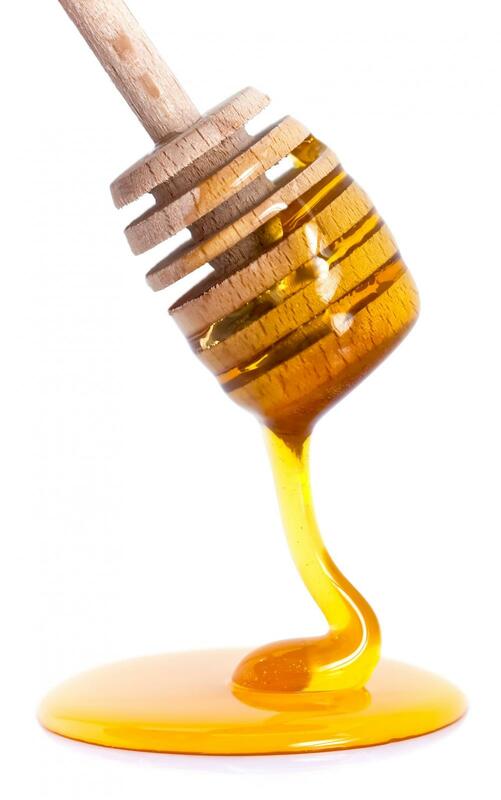 PROS^ Frances says, "Honey is a natural source of carbohydrates. It provides energy and boosts performance and endurance while preventing fatigue during exercise or other daily activities." Brooke adds, "studies have shown that blood sugar levels are lower after consumption of honey than they are after consumption of table sugar! Many scientists attribute this to the natural, unprocessed state of honey which leads to easier digestion and use by our bodies. Honey also lowers LDL cholesterol and raises HDL cholesterol while helping decrease inflammation. On top of all that, honey contains antioxidants that are not found in other sugar substitutes." Carol explains, "Look for raw honey, which still contains some vitamins, minerals, enzymes and pollen. A benefit of eating honey produced in your geographical region is that it may reduce hay fever and allergy symptoms by building your natural immunity." Cons^Frances says, "Honey is higher calorie than sugar supplying about 20 calories per teaspoon." Brooke explains that honey is 82 percent sugar by weight and half of that is fructose. PROS^ Frances says, "Molasses has a significant amount of a variety of minerals and is the highest in antioxidants of all sweeteners. 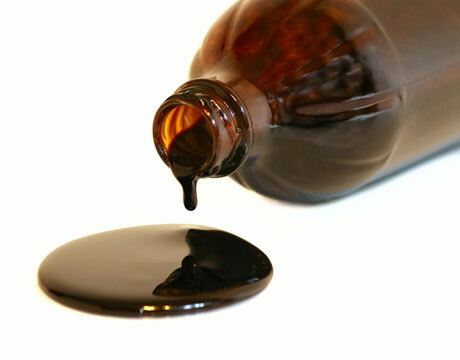 Molasses is a very good source of iron and can increase energy by replenishing iron stores. It provides more iron for less calories and is completely fat free." Cons^Frances says, "Molasses has about 60 calories per tablespoon." 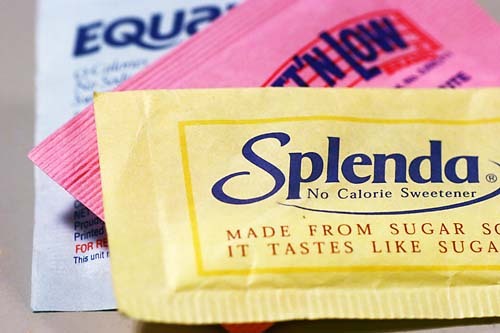 PROS^ Frances says, "Splenda is 0 calories per teaspoon and its method of absorption makes it appropriate for diabetics and for other insulin sensitivities." conS^Frances says, "It's an artificial sweetener derived from sugar and other chemicals." Brooke adds, "The actual name for this sweetener is sucralose. This sweetener was approved by the FDA after only two studies were completed and published. Sucralose, or Splenda, is made by adding chlorine to a sugar molecule, creating a sugar that is not found in nature, and therefore marketed as indigestible. The newly formed molecule is most similar to a chemical named DDT, a pesticide banned in many countries due to its negative long-term health effects. The truth is everybody is different, and some studies have shown that humans can absorb and store up to 15 percent of ingested sucralose. The attraction to this artificial sweetener is due to the claim that it contains zero calories, but this is only if the sweetener is not digested or absorbed. Therefore, since 15 percent is absorbed, then you are actually consuming calories and since these molecules are most similar to a pesticide, I doubt they're calories that you want." Karlene Karst is a registered dietician, five-time published author, mother and anti-sugar advocate. She explains, "In an effort to ditch the sugar from our diet, artificial sweeteners are available. Yet many of them are chemicals that are quite toxic for the body. Splenda (sucralose), aspartame (Equal) and saccharin (Sweet & Low) are all chemical sweeteners that I do not recommend using. There have been numerous complaints about the negative effects from these sweeteners and they don't help you cut your sugar craving. The more you use them, the more you want them. Aspartame is also associated with obesity, headaches and dizziness." PROS^ Frances says, "Since it's low in calories, stevia is the ideal option for those who want to lose weight. It also doesn't affect blood sugar. Stevia is the most naturally made artificial sweetener." Brooke adds, "Stevia is derived from a plant native to South America where it is commonly known as the sweet leaf. The sweetness comes from a molecule in the plant called stevioside and it's 200 to 300 times sweeter than sugar. 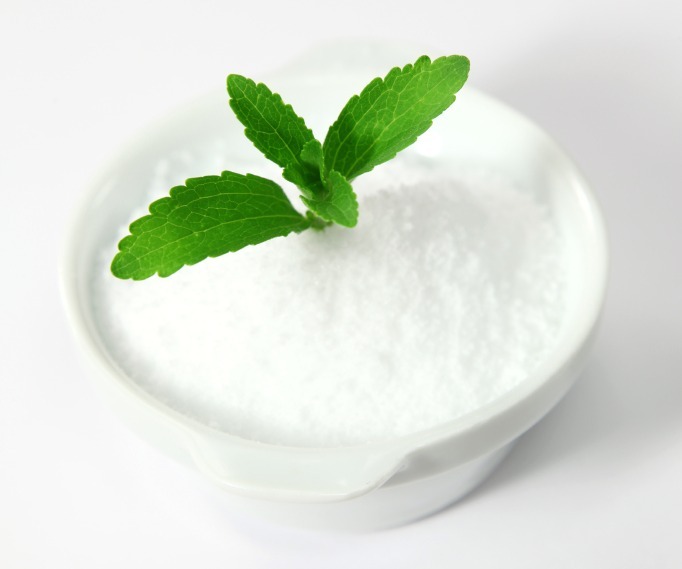 Some evidence has shown that stevia can actually help lower blood pressure and blood sugar levels. Stevia is available in several forms, has zero calories and has a glycemic index of zero. It is heat stable so can be cooked with." Karlene says, "I particularly love SweetLeaf Stevia which is made from the highest quality stevia leaves. The leaves release their sweet compounds during a gentle process that only involves cool, purified water — and no chemicals. The result is zero calories, zero carbs and great taste." conS^Brooke says, "So far, the only negative side effects found from using stevia are allergic reactions from people who are allergic to related plants such as daisies or ragweed. Stevia also can't caramelize and brown our baked goods the same way our beloved sugar does." Karlene adds, "Stevia is 300 times sweeter than sugar, and if you use too much, it will taste very bitter." PROS^ Frances says, "Sucrose is what we call table sugar. It's derived from sugar cane or sugar beets made from fructose and glucose. It sweetens food and inhibits bacterial growth in food such as jams, jellies, marinades and salad dressings." conS^Frances says, "Sucrose contains calories but no additional nutritional benefits. Sucrose or table sugar supplies 16 calories per teaspoon and in excess has been found to lead to tooth decay and obesity." Karlene says, "One of the greatest nutrition evils is undoubtedly sugar. 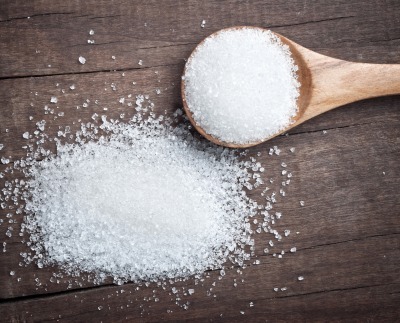 Research confirms that 75 percent of today's chronic diseases of type 2 diabetes, obesity and certain types of cancers could be prevented by eliminating sugar from the diet. Yet, that is easier said than done as sugar is one of the most toxic and addictive substances we have." 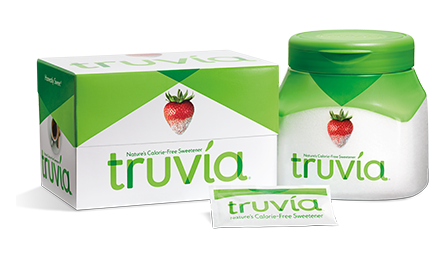 PROS^ Frances says, "Truvia is derived from stevia, is also low in calories and offers the same benefits." conS^Truvia is processed with chemicals and isn't as natural as stevia. PROS^ Karlene says, "Xylitol is extracted from birch bark. It's an all-natural, no-calorie sweetener and also has a low-glycemic index meaning it's safe for diabetics. It's antibacterial and is commonly found in toothpaste and mouthwash because of its ability to prevent dental problems." Yoli Ouiya of Yoli's Green Living says, "Xylitol was originally derived from birch trees but many other xylitol companies on the market have been deriving it from corn. I prefer my xylitol from Xyloburst since it's still derived from birch. It has 40 percent fewer calories and 75 percent fewer carbohydrates than sugar and has a glycemic index of seven. When using it as a replacement for sugar in recipes, the ratio is one to one." conS^Yoli says, "Be mindful of using too much xylitol as it can cause stomach problems and diarrhea if you use too much." Most natural sweeteners contain minerals and other nutrients that, while not providing a major nutritional powerhouse, make them easier to digest. It's hard to kick the sweetener habit. But you can be mindful of what you put into your body, keep these findings on hand, read labels and do your research. 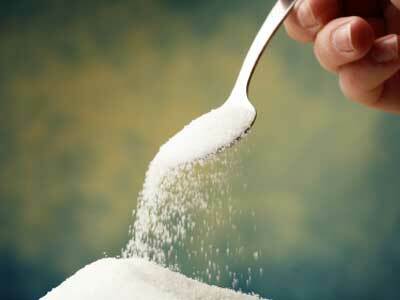 Making small changes in your sugar intake will make a huge difference in your overall health. Christina says, "Overindulging in sweeteners of any kind — whether natural or refined — isn't health supportive. But here's the good news: Some natural sweeteners are better than others because they're gentler on your body and your blood sugar levels. Most natural sweeteners contain minerals and other nutrients that, while not providing a major nutritional powerhouse, make them easier to digest. Better yet, when a craving strikes, have a sweet potato or other whole food rich in complex carbohydrates!"